I was surprised to find out that Kenneth Branagh directed the movie. Who knew that he had superhero movie in him? I could say the same about Jon Favreau. But I'm sure it was the father-son dynamics that attracted the Shakespearean actor/writer/director. Or was it? Chris Hemsworth plays the pompous Norse god of thunder, eager to take over the rule of Asgard from his father Odin (a very stern Anthony Hopkins). 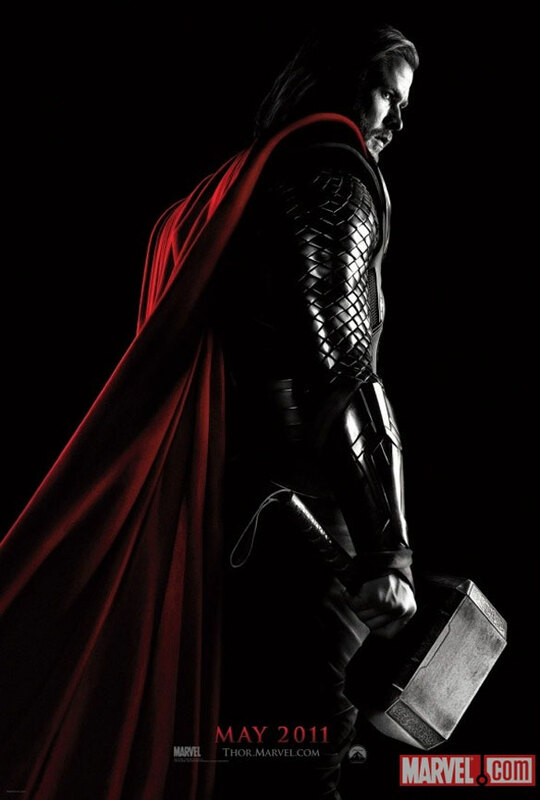 After a disastrous adventure into the land of the Frost Giants, he is banished to Earth, where he meets astrophysicist Jane Foster (a too earnest Natalie Portman), and her team Erik Selvig (Stellan Skarsgard) and Darcy Lewis (Kat Dennings). 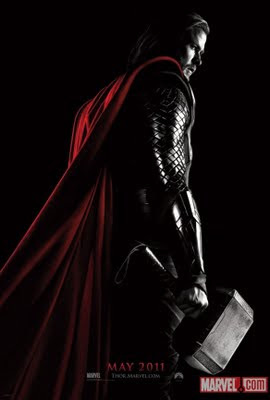 Odin also sends his arrogant son's hammer to Earth, where like King Arthur's sword in the stone, no one can remove it except hopefully a worthy, properly humbled Thor. In the meantime, his other son Loki also has designs on the throne. I was very impressed with Tom Hiddleston's performance. His wasn't a one-dimensional villain. I felt the genuine chip on his shoulder, and I wasn't sure whether I wanted give him a hug or run away. I suppose it's the classic family drama. Although after seeing Stephen Colbert's Yahweh or No Way bit, I found similarities between Thor, Jesus, and even Harry Potter. I have to confess I was a little bored at the beginning of the film, when all the exposition was going on, but the special effects were fantastic. Very Lord of the Rings-esque. The action did pick up soon enough, as well as the comedy. I found the costumes bizarre but if you're a fan, you'll know that they stayed true to the comic books. I found it amusing, too that Asgardians weren't all blond and blue-eyed. Thor even had an Asian warrior-friend! And Heimdall (Idris Elba) the guardian of Asgard and the rainbow bridge Bifrost, was black. This movie sets the stage very nicely for upcoming excursions into the Marvelverse. Mr. Branagh provided just the right amount of action, silliness, gravitas, and humor to this comic book superhero film adaptation.